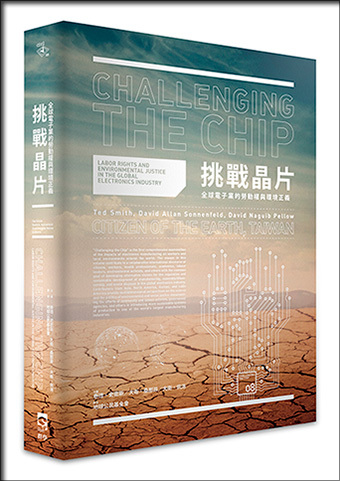 A Chinese edition ofChallenging the Chip: Labor Rights and Environmental Justice in the Global Electronics Industry, edited by Ted Smith, David A. Sonnenfeld, and David Naguib Pellow (Temple University Press, 2006), was published in May, in Taipei, Taiwan, by Socio Publishing Co., Ltd.
Sonnenfeld, professor of environmental studies at ESF, is a contributing editor of the original work, published in collaboration with the International Campaign for Responsible Technology, a global network of academics and grassroots environmental organizations. Also contributing to the volume is an ESF alumna, Dr. Wen-ling Tu, MS '96, co-founder of the Taiwan Environmental Action Network (TEAN). She is an associate professor of public administration at the National Chengchi University, Taiwan. The new, complex Chinese translation is by Citizen of the Earth, Taiwan. The book's themes of occupational and community health, environmental justice issues involving electronics manufacturing and consumption, and the "tsunami" of hazardous electronic waste (e-waste) remain highly salient in China and around the world. This is the third language the volume has been published in. A Korean translation was released in 2009.